Citrix ShareFile wondered how lawyers use the cloud. So they looked into it. I occasionally share information and tools from member-service providers. Today, let’s think about … the cloud. Citrix ShareFile was curious about how many lawyers are using the cloud for their work. And being helpful people, they provided their findings in an easy-to-digest infographic. Being helpful myself, I’ve parsed it out for you down below. Please note that Citrix understands lawyers and their needs. How do we know that? Well, they’ve even got footnotes—7 of them—in their infographic. How lawyer-friendly is that? And as long as we’re on the subject, I urge you to read Bob Ambrogi’s insightful article here. It discusses the fact that many lawyers still say they are hesitant to operate their law practice in the cloud. But one of the unique findings is that lawyers may already be operating there and don’t even know it. Lawyers remain conflicted (surprise!) over using the cloud for legal work. That’s right: 10 percent do not know if they have used the cloud. Maybe we need to understand what the cloud is before we go dissing it, eh? Before I forget, here is the great resource Bob Ambrogi named, the ABA’s Legal Technology Resource Center. I just flew in from Savannah, and boy are my arms—empowered. A communications conference hosted by ABA-affiliate NABE is what took me to the Garden City. And the sessions—not to mention the city itself—provided eye-opening moments of wonder. Today, though, I mention not the great conference, but a magazine—specifically the Georgia Bar Journal. On a routine basis, they put out a great journal. 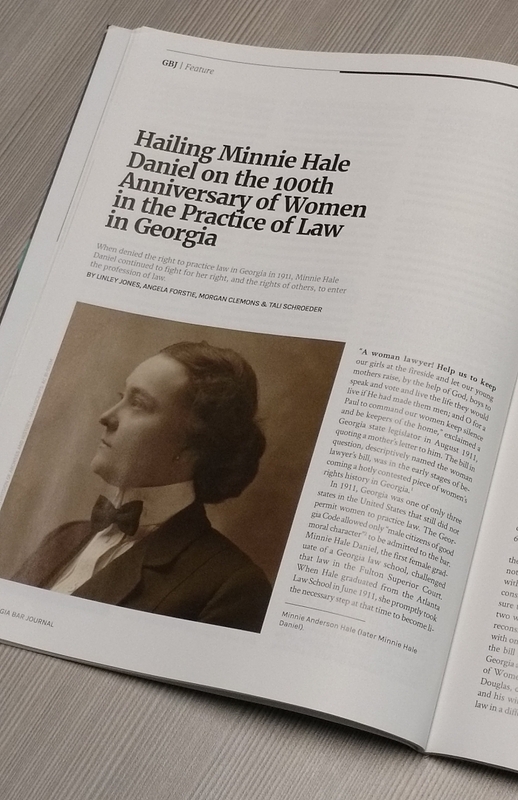 But this month, their entire issue is an idea worth stealing: They explored the history of women lawyers in Georgia. You can see the entire issue here. “A woman lawyer! Help us to keep our girls at the fireside and let our young mothers raise, by the help of God, boys to speak and vote and live the life they would live if He had made them men; and O for a Paul to command our women to keep silence and be keepers of the home,” exclaimed a Georgia state legislator in August 2011, quoting a mother’s letter to him. Hale eventually won her fight—and her fight on behalf of countless other women—and was licensed to practice law on August 21, 1916. Her achievement has had no noticeable impact on the ability of boys to speak and vote and live. Wisely, the magazine issue is not merely a history piece captured in amber. 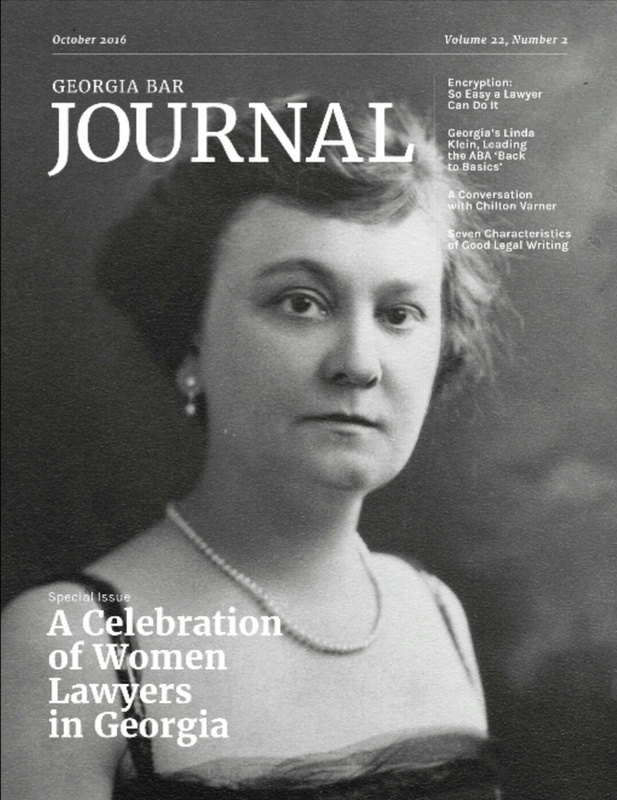 It includes articles on the engagement and promotion of women lawyers, and the value—and challenges—of mentoring. If you’re wondering why this is still important and crucial in 2016. Just. Don’t. Even. I mean, even the economic challenges still faced by women attorneys are substantial. And those are merely the most quantifiable slights; things get worse. I’m helping to produce a panel discussion on gender equity in the legal profession for a national conference in Miami next February, and I’m pleased to have this magazine issue as a resource. And as we look toward 2017 and beyond at Arizona Attorney Magazine, we would do well to follow the lead of our smart friends in Georgia. Well done. 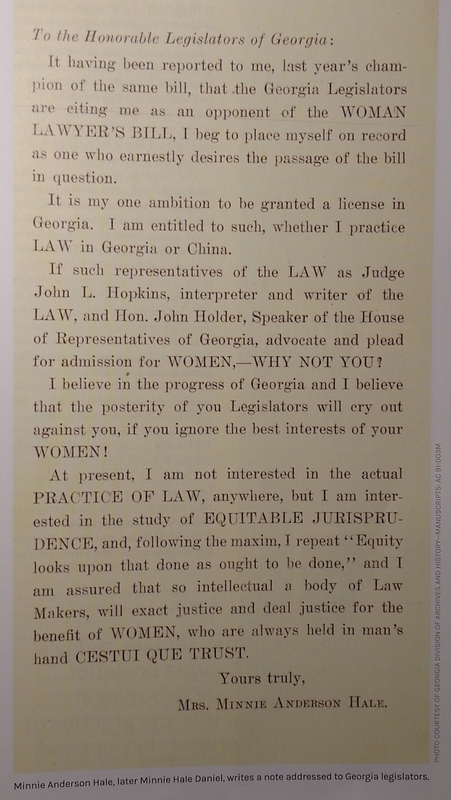 Below is an image of a letter Winnie Hale sent to Georgia lawmakers. You have to love her line, “It is my one ambition to be granted a license in Georgia. I am entitled to such, whether I practice LAW in Georgia or China.” Pioneering spirit, that. 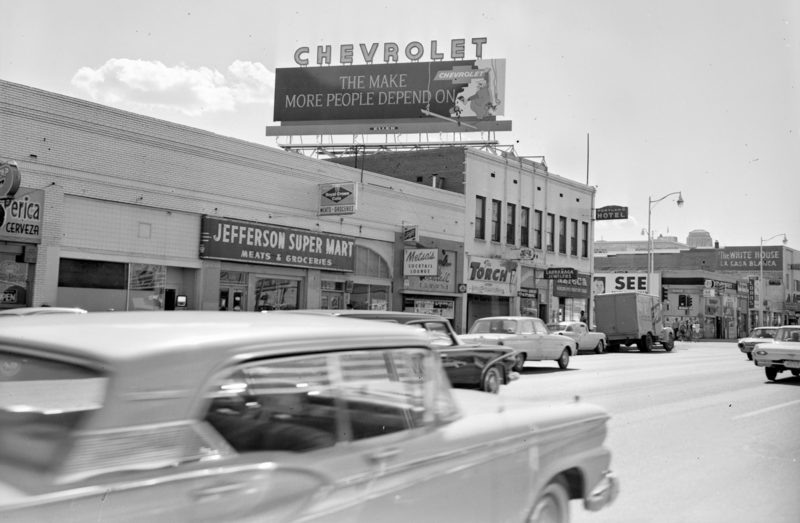 Downtown Phoenix neighborhood “The Deuce,” around Third St and Jefferson, early 1960s. 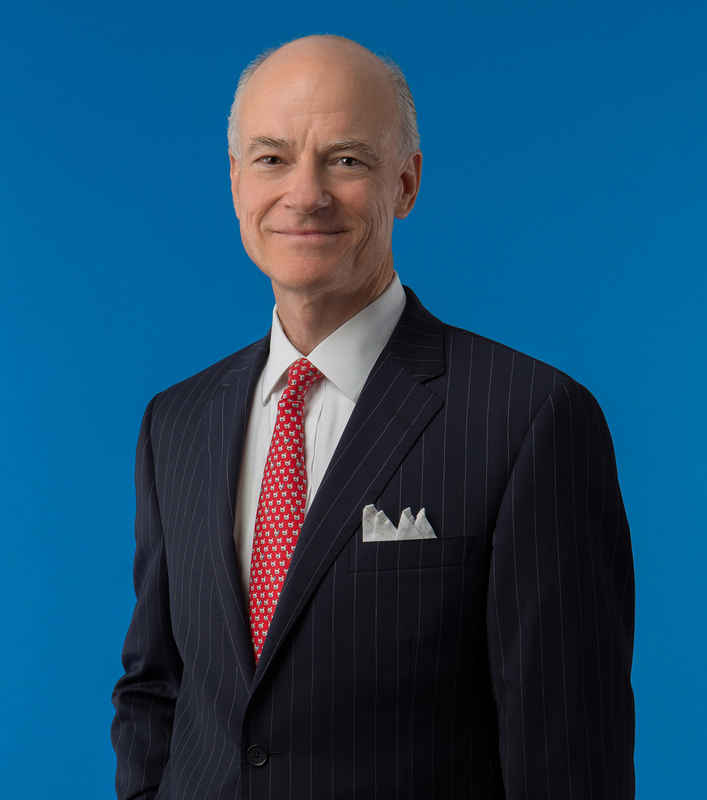 That intriguing question is how attorney Paul Ulrich opens his article on the landmark case that appears in the June Arizona Attorney Magazine. Most everyone in the United States has at least a rudimentary knowledge of the Miranda warning, if not of the case itself. But 50 years on, how deep and long-lasting are the rights associated with Miranda v. Arizona? For in those five decades, multiple court rulings have chipped away at the bedrock of the case. Is Miranda still a powerful case? Or merely an important piece of legal history? Read Paul’s article, and let me know what you think. One of the pleasures of covering the landmark case was in sharing some photos of downtown Phoenix, from about the same time period as Miranda’s arrest and trial. As Paul mentions in his article, the once-shady—and vibrant—neighborhood of downtown was called “The Deuce.” Longtime residents are often pleased to share stories of the activities that marked the streets and alleys. To learn more about that neighborhood, and more, read Jon Talton’s blog, Rogue Columnist. It is worth bookmarking. Cybersecurity and privacy were two of the primary topics at the 2016 TechShow. Great learning at conferences is one of the best things ever. But if you can’t be there, hearing the takeaways of smart folks may be the next best thing. In fact, because those correspondents have done the hard work of taking notes and synthesizing, it may be the ideal outcome. 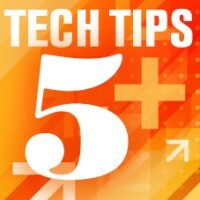 Although I missed the event, seven technology experts have boiled down for the rest of us their take on the biggest TechShow messages. You should bookmark and read their complete analyses here. From Natalie Kelly: Uber Eats may be a fascinating analogue to assess how we deliver legal services. From Heidi S. Alexander: Stop making unencrypted calls, and be sure you’re using the cloud securely. From Reid F. Trautz: Our regulatory system is stifling innovation in the legal profession. From Tom Lambotte: It’s scary out there, even for Macs. From: Nora Regis: Better use of Excel, including pivot tables, can be your law-practice friend. 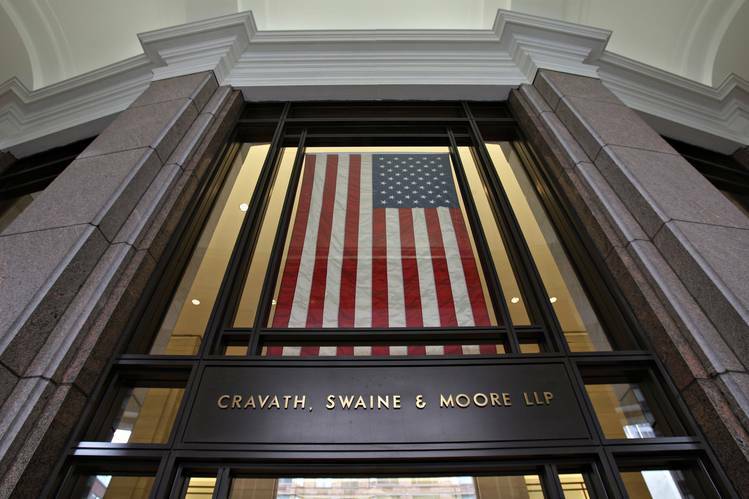 To access law firm data, hackers bypass the front door. Well, the anecdotes are growing more and more common. 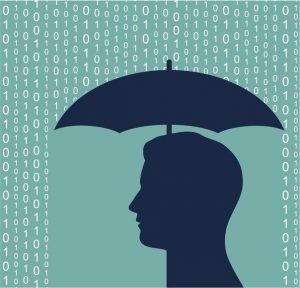 What are you doing to ensure your data is secure? Write to me at arizona.attorney@azbar.org with your tech-success story. Oh, Twitter, right back atcha with that #love! 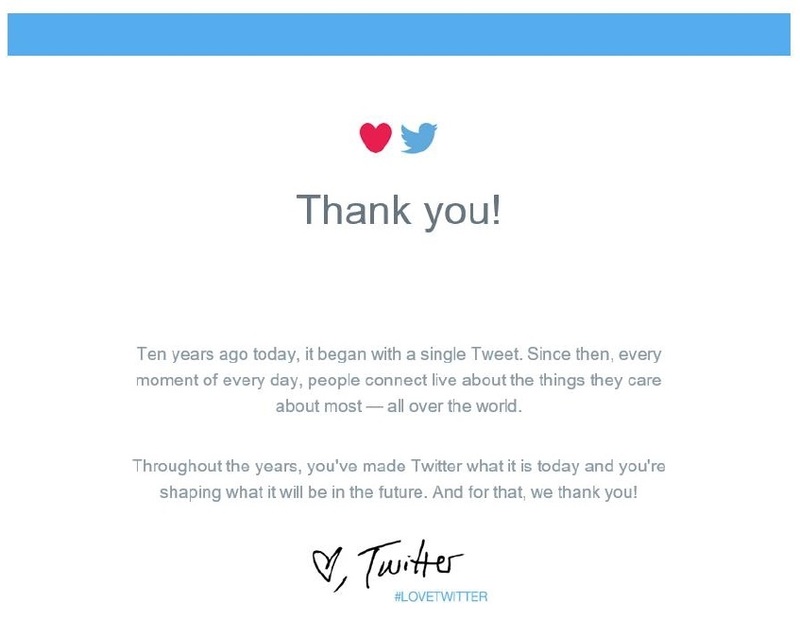 Some of you may find the following fact unastonishing: Today is the 10-year anniversary of Twitter. Happy birthday, Twitter. I’m happy you’re here! That most agile of social media channels has had some growing pains in the past year, and I am rooting for it to emerge stronger than ever. The reason I’m a fan has everything to do with reader engagement—and the ability to learn news as it’s happening, rather than when a news conglomerate decides to drip-drip-drip out information. Yes, in fact, Twitter does have a signature. Here at Arizona Attorney Magazine, Twitter was a game-changer. It has allowed us to know what was happening in real time. And it allowed us to share news as it broke. Pre-Twitter, unless you were the Associated Press, a TV channel, or a major daily newspaper, you were pretty much sidelined from breaking news, even in your own beat. But sweet sweet Twitter changed all that. It’s helped in other ways. This past Friday, I presented to hundreds of legal leaders at the American Bar Association’s Bar Leadership Institute. I also invited continued dialogue on Twitter, and promised a gift of a terrific book to the best tweeter from the session. (More on that later.) No surprise, engagement spiked. Because the digital world is all-knowable and all-knowing, I was able to look up my very first tweet, way back on August 12, 2009 (you can see it below). I was relieved that I did NOT launch my Twitter brief with a mention about my lunch. Instead, my inaugural tweet happens to combine a few of my fondest interests: lawyers and legal affairs, human rights, and historic preservation. A social-media trifecta! My first tweet: 140 characters pack a punch. That was almost 25,000 tweets ago, and I am looking forward to all the conversations to come. Feel free to follow me here; I’m pretty sure we’ll have a blast together! Eight hundred years is a long time, even across the Pond in Great Britain. That’s why they—and we—sit up and take notice when a remarkable document reaches 800 years old. Officially, of course, Magna Carta is now 801 years old. But who’s going to quibble? News arrived this week that a traveling banner exhibition commemorating the anniversary is headed to Arizona. Titled “Magna Carta: Enduring Legacy 1215-2015,” its kickoff reception occurs this Friday, March 4. Sponsored by the Arizona Attorney General’s Office and the Federalist Society for Law and Public Policy Studies, the event will be held at the state Capitol building. All the detail is below. 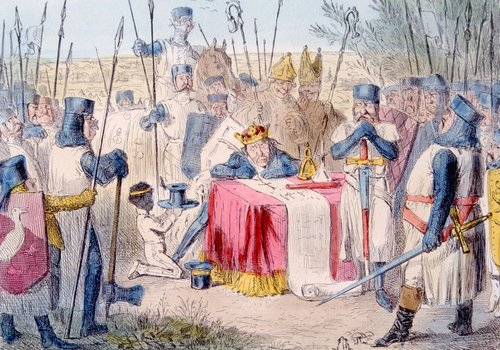 Though it’s unlikely to have happened this way, here is one artist’s rendition of Magna Carta being signed at Runnymede. The reception begins at 5:00 p.m., and will take place in the Arizona Capitol Museum Rotunda (1700 W. Washington). Michael Bailey, Chief Deputy Counsel for the Arizona Attorney General’s Office, will offer brief remarks, and attendees will have the opportunity to preview the exhibit itself. Developed by the American Bar Association Standing Committee on the Law Library of Congress and by the Library of Congress and its Law Library, the exhibition focuses on Lincoln Cathedral’s 1215 manuscript of Magna Carta, which stands as one of only four surviving original exemplifications from that year. The banner exhibit will be on display in the Capitol Museum from March 4-23, 2016. The museum is open Monday through Friday, 9 a.m. to 4 p.m., and Saturday 10 a.m. to 2 p.m.
RSVP to Kileen Lindgren at klindgren@ij.org. It offers a dozen specific recommendations that have the possibility of engaging the community and law enforcement and criminal justice officials in a deep and change-making way. 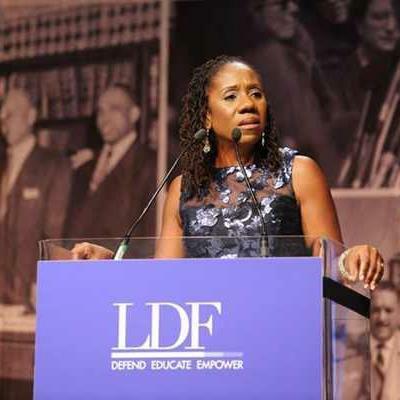 It is a joint statement that is a result of collaboration between two persuasive organizations, the ABA and the NAACP Legal Defense and Educational Fund. It is drafted in straightforward language that faces head-on a crisis in race and policing. The complete statement is available here. More complete and comprehensive data collection on interactions between law enforcement and citizens, and more transparency from prosecutors’ offices on the use of prosecutorial discretion. More training and assistance for all members of the justice system on the problems that can occur from real or perceived bias. More hiring and retention of lawyers and officers “who live in and reflect the communities they serve” by prosecutors’ offices and law enforcement. Promotion of dialogue about the criminal justice process between representatives of the judiciary, law enforcement and prosecutors, defenders and defense counsel, probation and parole officers and community organizations as well the community. More accountability and quicker response to issues that arise. A better understanding of the collateral consequences of convictions and the damage they can inflict on individuals who have paid their debt to society. In a press release, leaders of the two organizations offered remarks. I look forward to more news on this topic. Specifically, which of the 12 recommendations are likely to be adopted first and on a widespread basis? Are any of these suggestions currently being implemented, but on a smaller scale, perhaps in a state or in one jurisdiction? After reading the statement, write to me at arizona.attorney@azbar.org to offer your thoughts.